With a great lineup of kite artists attending from across North America and beyond, this year's Windscape Kite Festival will offer another exciting weekend of unique entertainment. On June 25 and 26, 2016 the skies above Swift Current, SK will fill with an incredible array of beautiful and colorful kites, with plenty of other activities for the whole family to enjoy. This year's festival celebrates Windscape's 12th anniversary, and welcomes a number of celebrity flyers from years past, bringing them back to the Windscape Field to showcase their creations and skills alongside some brand-new talent from across the globe. Featuring enormous, wonderful kites and inflatables, out-of-this-world stunt kite flyers, quad line flyers and teams that thrill the crowd, and colorful banners to brighten up the festival grounds, Windscape Kite Festival truly offers something for everyone. The festival would not be possible without the 350+ volunteers, staff members, and sponsors who all contribute to ensure the event's success. Their support has allowed Windscape to continue to grow over the past decade, becoming one of North America's very best kite festivals. The kite festival is held in conjunction with Long Day's Night music festival, which runs Thursday through Sunday at the Windscape Field. 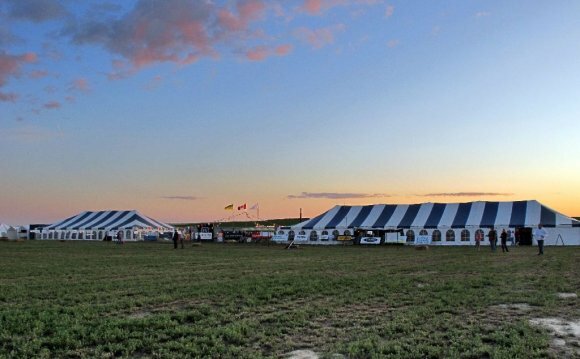 With exciting kites, fun activities, and great musical entertainment, the SaskPower Windscape Kite Festival 2016 is shaping up to be a can't-miss event this coming summer.